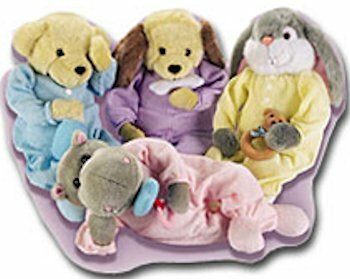 I’m looking for a Happiness Express Snoozems gray hippo, wearing pink thermal pajamas and a white elephant in striped pajamas with little barns on them. 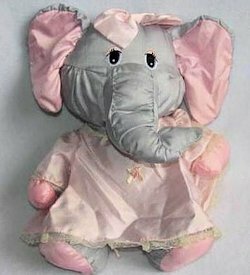 I’m looking for a grey 1987 Potpourri Press Puffalump elephant girl with a pink dress and pink bow. It was only sold for a few years. 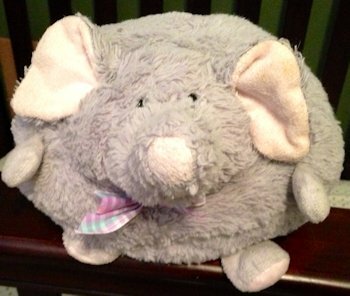 I’m looking for an 8 inch 2010 Hugfun round gray elephant that was only distributed to Dollar General stores. 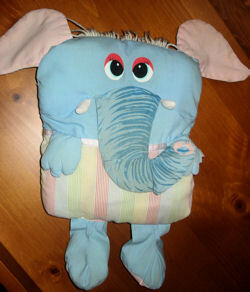 It’s a soft polyester with a fleecy feel. 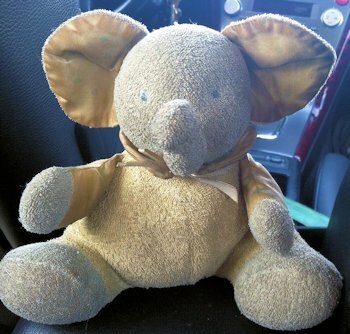 I’m looking for a late 80’s blue square shaped pillow Mel Appel Plumppets elephant with large pink ears, a large trunk, and small floppy arms and legs. 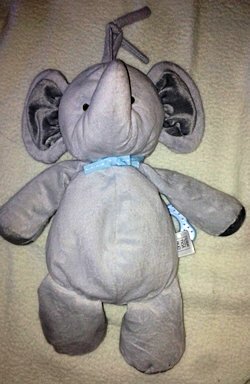 I’m looking for a 12 inch Just One You Carters gray elephant. It’s light gray with a darker shade of gray in his ears. Pull his tail to play Brahms.